Last year I wandered around Birmingham’s Frankfurt Market. 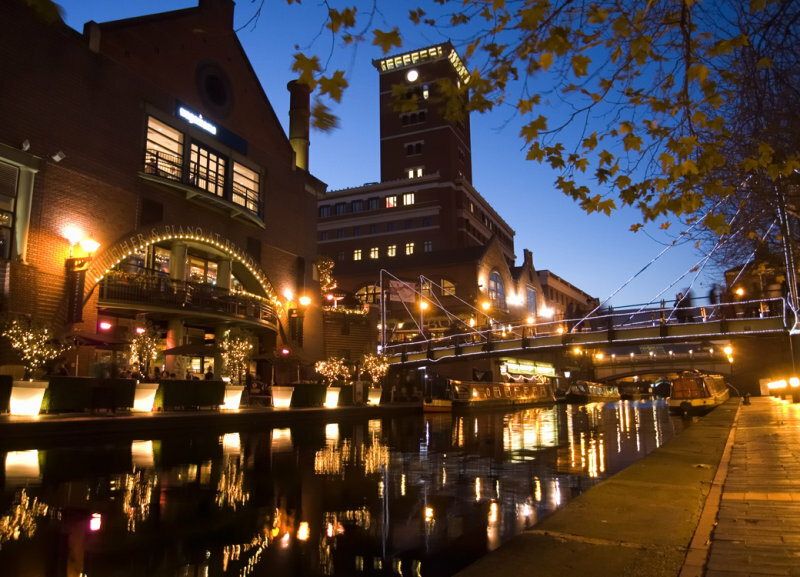 This year I returned but decided to photograph the canal around the ICC and Brindley Place. I timed my visit to coincide with dusk in the hope of keeping the sky with some colour and not the black/brown that is in many photographs taken in the dark.